This negative perception of Bangladesh as a country, or the negative country image of Bangladesh has been put forwarded by many local and national think tanks and country branding has been termed as the way out of the problem. Country branding is relatively new concept. Country branding is nothing but what countrymen believe & perceive about the image of country and express to others. We can rebrand Bangladesh by branding pohela boishakh. we follow the strategic brand management procedure along with the customer based brand equity model(CBBE) to brand pohela boishakh in this report. Bangladesh is bestowed with the gifts of nature and culture. It has nurtured some of the most ancient civilizations of this continent. But yet the country in present day’s context has not been able to grow and capitalize to its full potential. The young country came into existence after a blood spattered liberation war in 1971. but the pace of growth and development has been impeded by many factors. Experts say Bangladesh has the potential to achieve higher growth and to become a promising economy of the world. The sluggish pace has been attributed to many diverse factors, but recently theorists have put the negative country image of Bangladesh as principal driving factor behind it. This negative perception of Bangladesh as a country, or the negative country image of Bangladesh has been put forwarded by many local and national think tanks and country branding has been termed as the way out of the problem. The concept of “branding” may be effectively utilized to address both the reality and perception challenges which Bangladesh is currently confronting. An image of a place is defined as the ‘sum of all those emotional and aesthetic qualities such as experience, beliefs, ideas, recollections and impression that a person has of a place. In this definition it is relevant that individuals from an image based on their personal frame of reference. “A country image is defined as the total of all descriptive , inferential and informational beliefs one has about a particular country. Having a powerful brand is much an innovation for consumers to complain, as it is their guarantee of quality; as much a requirement for companies to behave correctly, as it is a license for them to make more money; as much a commitment to continuous innovation, as an opportunity to enjoy customer loyalty .it is in short as much a responsibility as a privilege, Having a brand means living in the limelight, with all the benefits and obligations that this confers. These implicit negotiations are a kind of natural law, and bring benefits to both sides; they mean that brands tend, ultimately, to be benevolent forces in society. It is within the power and the nature of brands to bring transparency, honesty and fairness to all transaction. Brand promises something unique and also delivers accordingly. Country branding is being followed by many countries around the world. We often hear countries being called in a positive attribute or a promise such as “Malaysia: Truly Asia”,” Dubai: The Jewel in the Desert”, “China: The factory of the World”, Sri Lanka: The Pearl of The Indian Ocean, etc. The objective of this report is nothing but to identify the most unique, distinctive factor, attribute of Bangladesh and judge the acceptability or validity of that topic as a tool for branding Bangladesh. The Bangali calendar is closely tied with the Hindu Solar Calendar, based on the Surya siddhanto. As with many other variants of the Hindu solar calendar, the Bengali calendar commences in mid-April of the Gregorian year. The first day of the Bengali year therefore coincides with the mid-April new year in Assam, Burma, Cambodia, Kerala, Manipur, Nepal, Orissa, Punjab, Sri Lanka, Tamil Nadu and Thailand. Under the Mughals, agricultural taxes were collected according to the Hijri calendar. However, as the Hijri calendar is a purely lunar calendar, it does not coincide with the harvest. As a result, farmers were hard-pressed to pay taxes out of season. In order to streamline tax collection, the Mughal Emperor Akbar ordered a reform of the calendar. Accordingly, Fatehullah Shirazi, a renowned scholar and astronomer, formulated the Bengali year on the basis of the Hijri lunar and Hindu solar calendars. The new Fasli San (agricultural year) was introduced on 10/11 March 1584, but was dated from Akbar’s ascension to the throne in 1556. The new year subsequently became known as Bônggabdo or Bengali year. Celebrations of Pohela Boishakh started from Akbar’s reign. It was customary to clear up all dues on the last day of Choitro .On the next day, or the first day of the new year, landlords would entertain their tenants with sweets. On this occasion there used to be fairs and other festivities. In due course the occasion became part of domestic and social life, and turned into a day of merriment. The main event of the day was to open a halkhata or new book of accounts. Pohela boishakhh puts vivacious colors on the face of the Bangalees. They observe the day in a festive mood. Though some of the old rituals of Pohela boishakhh are not in practice now, Bangalees observe the day in their own cultural way. In Dhaka, people gets up early in the morning and gathers at Ramna Batomul where singers of Sayanot welcomes the first of the Bangla Year by singing the song ‘Esho he boishakh, esho, esho…(come Boishakh come)’ of Rabindra Nath Tagore on stage. People eat Panta Bhaat (soaked rice) with Hilsha fish and chilly which is a traditional Bangalee food. A colorful rally comes out from the Fine Arts faculty of DhakaUniversity where thousands of people take part. Musical programs, Jatra etc are staged at different places of the country. The woman wear white Sari with red border, tips on forehead, colorful churis (kind of bracelet) on both hand and the man wear white Panjabi with pajamas usually on this day. The buildings are illuminated the city is put on colorful dresses with festoons, balloons, etc. Boishakhi fair is organized all over the country. The people ride on Nagordola (merry-go-round), enjoy different type of traditional pitha (kind of cake), and hover around different places. But most of the festivals are religious, local or international. There fore we have two widely celebrated national events. These are –pohela boishakh and pohela Falgun. Pohela boishakh is celebrated nationally from the ancient times .But pohela Falgun is celebrated mostly in rural areas and recently in Dhaka city. That’s why we have chosen pohela boishakh as a unique and distinctive tool to brand Bangladesh internationally. There are many ways of brand management. Here for branding pohela boishakh we will use the following process. This is called Strategic brand management process. It contains four major steps and a number of sub steps. For branding Pohelaboishakh we have to start with a clear understanding of “What the brand is to represent and how it should be positioned with respect to competitors.” For achieving this goal we have to draw the MENTAL MAP, INDENTIFY THE COMPETITIVE FREAM OF REFERENCE, and POINT OF PARITY AND POINTS OF DIFERRENCE. We also have to consider identify the core brand association and Brand mantra. Pohela boishakh, Banglali New Year’s Day is now celebrated at the national level. In this case it is already branded among the resident of Bangladesh. But we are trying to expand our culture and secularity worldwide through the essence of Pohelaboishakh. Thus our target market falls into two categories. There are two important concept when comes to positioning. One is point of parity. It is the basic features or associations that are offered commonly. As Pohelaboishakh has some competitive frame of references so it has some point of parity also. Fundamentally, Positioning convinces the target market of the advantages or the uniqueness the subject has over its competitors. It is called point of differences. The New Year celebration in different countries is way more different from our Pohelaboishakh. In Argentina, Canada, Chaina, Denmark, France, Germany, Greece, Ireland, Italy, Japan, Porto rica nanshai o, Scotland, Spain the celebration style is different and unique. People go out onto the streets and make toasts and celebrate with neighbors. At midnight, kids shoot off fireworks. Traditionally, the polar bear swim takes place on New Year’s Day, where people of all ages dive into the icy water. The Chinese New Year, Yuan Tin, is celebrated between January 17 and February 19. They have fireworks, parades, and a Festival of Lanterns, where thousands of lanterns light the way to the New Year. Young people bang on friends’ doors to “smash” in the New Year. The French eat pancakes for breakfast on New Year’s Day. The last night of December is called St. Sylvester’s Eve. Germans celebrate with friends, drink and “sit in” for the New Year. They also have parties that include dancing and formal dress. Children receive gifts on New Year’s Day, also known as St. Basil’s Day, instead of at Christmas. At midnight everyone goes in the front door and out the back door for good luck. Children sometimes get money as gifts, and people give oranges on New Year’s Day. A gong sounds 108 times for the 108 sins a person can commit. By listening to the gongs you can cleanse your heart and get rid of sins. Kids throw water out their windows at midnight to get rid of evil spirits. A Scottish tradition is First Footing, where the first person to enter your home after midnight is the first footer, a symbol for the New Year. A tall dark haired visitor is considered good luck. People pop a grape into their mouth at midnight each time the clock strikes. Twelve grapes symbolize good luck for each month of the year. It is good luck to let a drop of cream fall to the floor on New Year’s Day. Halkhata is opened in these days for the upcoming year. People eat hilsa and soaked rice as their breakfast. People wear identical dress. Mainly in red and white. Secularism is maintained in each and every aspect. A mental map pot rates in detail all salient brand associations and responses for a target market. In case of branding paohelaboishakh our mental map as well as brand associations are found based on Customer Based brand Equity model. The following questions are asked and the answers formed the map of the brand associations. What about you and me—Historical importance, strong attachment, Universality, Positive engagement. After evaluating the consumer based brand equity model (CBBE) model, the following associations are found; that create the mental map. Secularism represent our emotional involvement because though pohela boishak we represents ourselves as a united nation irrespective of all caste, color and creed. To celebrate pohela boishakh people gather in a place and greet each other saying “shuvo noboborsho”. It also represents our selves as a hospitable nation. Now a days pohela boishakh is observed as a day of entertainment, fun and festivals. To build brand equity of Pohela Boishakh requires creating a brand that consumers are sufficiently aware of & with which they have sstrong favorable & unique brand associations. Brand elements are trademark able device to identify & differentiate the brand. Our Brand Identity combines of brand name, logo & slogan. Brand Name– Pohela Boishakh of Bangladesh is our brand name. We put out this name because it captures the central theme of the festival celebration. 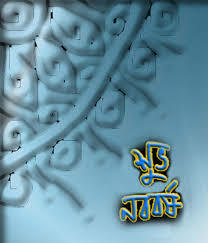 Slogan: – Our slogan-“The unique new year festival, Beyond the Boundaries” communicate descriptive information about pohela Boishakh. It delivers a message that what our brand is about-new year festival & what makes it special that_ our uniqueness & secularism to celebrate this festival. URLs: for expanding our slogan “Beyond of boundaries” we must reach out all target customers. It is not possible if we do not have the reach of Internet web site. Because it will provide the related information available to every one. As the task of internet is making the world a global village so a URL can help us to be a part of the village in Branding. According to the customer based brand equity model marketing communication can contribute to brand equity by creating awareness of the brand liking point of parity and points of parity and points of difference associations to our brand pohela boishakh in consumers memory that will helps us to receive a positive brand judgment or feelings and to facilitate a stronger brand connection and brand resonance. To form the desire the brand knowledge structure we have to integrate marketing communication program. The LAW of PUBLICITY states that – A brand is achieved with publicity and maintained with advertising. Strategy should be developed first from the publicity point of view. We are creating publicity for our brand by promoting a new category. Publicity : the way of publicity will be contacting with the NRB and foreigner inside of the country for achieving the attention of the all target market. We can create secondary brand knowledge of Pohela Boishakh by linking the brand with different associations. Linking the brand either some other entity some source factor or related people, place or thing helps to create a new set of associations from the brand to the equity as well as existing brand associations. People- As Pohela Boishakh have been already branded nationally so we have given attention on our secondary associations to make the brand global. Our secondary associations related with people are ambassadors of our country in foreign countries, non resident Bangladeshi & foreigners living in our country. Place- Pohela Boishakh is celebrated in Bangladesh in a wide scale. So we have to focus on Bagladesh as a country of origin of pohela boishakh. Although the new year day is celebrated in simultaneously in kolkata, asam, Punjab or some other part of India. But pohela boishakh has a historical association with our country. Things– Events, causes, third party endorsement like international celebrities of our country, writers & fair & festival make secondary associations. Other Brands – Our transportation, accommodation facilities attractive tourism industry, handicrafts make great contributions in branding our New Year festival. The objective was to improve country image by uplifting, strengthening & using the unique features of New Year celebration. Is Pohela Boishakh is exclusive to Bangladesh? Do people participate in Pohela Boishakh? Does the Pohela Boishakh reflect culture & heritage of Banladesh? In conjunction with other features colorful procession, wearing identical colorful dress, special dish at home, Bengali music & literature are the strong feature of Pohela boishakh. Financial control system like Halkhata is not likely creates interest in the mind of world citizen as it is not in the core of Pohela Boishakh. Visiting the core elements & rituals of Pohela Boishakh in rural areas as well as rural elements may create interest in the mind of people. The sense of simplicity & relief in the form of pohela Boishakh will keep Pohela Boishakh interesting to people. Our challenge is to make better accommodation & transportation facilities for people living outside Bangladesh. Government & private level investment are necessary to leverage the branding elements. The outside of the world e.g. foreign tourists will ensure the sustainability of this celebration. Our challenge is to make sure that we can “deliver “the “Unique promise”. At the bottom line, we can say that Pohela Boishakh is already branded among people of our country as a day for celebration. We will bring in this culture & heritage as a global festival through the feature-secularism & uniqueness beyond the boundary of religious factor. Branding of Pohela Boishakh is essential for developing Bangladesh further through trade, tourism, investment & international co-operation.